Scientists used to think that once a certain period of lifespan development was passed, the brain stops changing, but later studies of phantom limb pain, spinal cord injuries, and brain damage suggested otherwise. We now know that the brain continues to change throughout the lifespan through what is called brain plasticity or neuroplasticity. Some with brain related injuries are able to recovery with therapy, so it should be no surprise that drug addicts are also capable of rewiring their brain with help from treatment programs to the way their brain was before they started using. Research has shown that the Central Nervous System (CNS) is able to adapt the changes in the brain, spinal cord, or external environment in a process called remodeling. This process has been used in therapies for poor health conditions like phantom limb pain, stroke, traumatic brain injuries, and spinal cord damage. None of this would be possible if the old view that the brain does not change past a certain age were true. Behavioral psychology and neuroscience demonstrate that mere external stimulation alone is enough to alter the internal circuits that make up the brain, which make up our thoughts and behaviors. If the brain did not change based on our constantly changing environment, then we would be unable to learn anything and without learning, we would not survive. We would never learn to avoid fire because it burns us or that certain animals are dangerous and should not be approached. Recent studies have shown that brain damage from a stroke, neurodegenerative disease, spinal cord injury, and brain injury can be healed by a nonrestorative agent called EPO. EPO works in the way you would expect based on what has been discussed, by increasing neuroplasticity. Cell-based therapies on lab animals have led to axon growth and extension through stimulation. 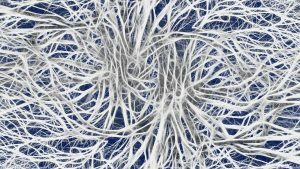 Axon growth is essential for neurons to communicate with each other. This means that physical therapy and drug rehab techniques that use stimulation should be able to induce changes in the brain that could lead to healing. Prolonged drug use can lead to a dependence or addiction to the drug. Part of what sustains addiction is how the brain changes after repeated drug use. The process of becoming addicted to a substance is the same thing as learning because when we learn something new, we are often pairing two stimuli together. For example, we pair the color green with the response to go to learn that green means go at stoplights. When someone takes a drug, they pair the pleasurable experience of the drug with using the drug and this often generalizes to other things related to the drug like the location the drug is taken. The parts of the brain that change with addiction are involved in decision-making, regulating stress, regulating rewards, memory function, and emotions. This is why many treatment programs use learning techniques to help the user unlearn their addictive behaviors. The primary reason these other brain areas are affected is because the addict cannot just stop using the drug. There is a reward pathway in the brain that uses dopamine to induce pleasure throughout the body and drugs activate that path excessively compared to most other stimuli. Over time, the brain says that since it is getting so much of the drug, there is no need to have as many receptors for the drug and tolerance results. Tolerance, the experience of reduced effects of a drug, is the first major stage of neuroplasticity from drug use. Compulsive drug-seeking behavior is the next stage of plasticity and is what causes the person to crave drugs after being reminded of the drug by an associated drug-using cue. The good news you should take from all this is that while the first steps of drug rehab seem impossible, addiction is not permanent because the brain is capable of changing back to its original state. Using addictive substances reinforces drug using behaviors like cravings and feeling drained if you do not take the drug. Drug rehab works by using different learning techniques to remodel your brains drug habits with new habits. This process takes a long time and is a painful transition because you are literally attempting to destroy habitual neuron connections in your brain while simultaneously trying to form new connections for abstinence. These techniques have advanced over the years. One of those advancements is biofeedback, a therapy that involves hooking wires to the head to read brain activity so the person can change their brain activity in real time. What makes this treatment work well is the way biofeedback targets frontal cortex control. During addiction, a person’s ability to inhibit their cravings is greatly diminished. The frontal cortex of the brain controls impulsive behavior, so by giving feedback on frontal lobe activity, the person is able to learn how to activate their frontal cortex to gain back the control they had lost during their addiction. At The Recover, we understand that substance addiction is not something that is easy to overcome for anyone. Over time, addiction can start to make a person feel like they are trapped with little hope for escape. There are a several treatment programs with a wide range of learning techniques, medications to reduce withdrawal, and therapies aimed at recovery. Breaking free from substance dependence is not a smooth transition to endure, but with support from others, you have a fighting chance. The Recover is an unbiased substance abuse and mental health news provider that helps people who are looking for the right treatment programs in their area. We also provide information on West Virginia centers for addiction recovery. If you are experiencing difficulties with controlling how much you drink, please feel free to contact us at (888) 510-3898 to talk to a treatment specialist who can help you find the right drug rehab for your personal needs.